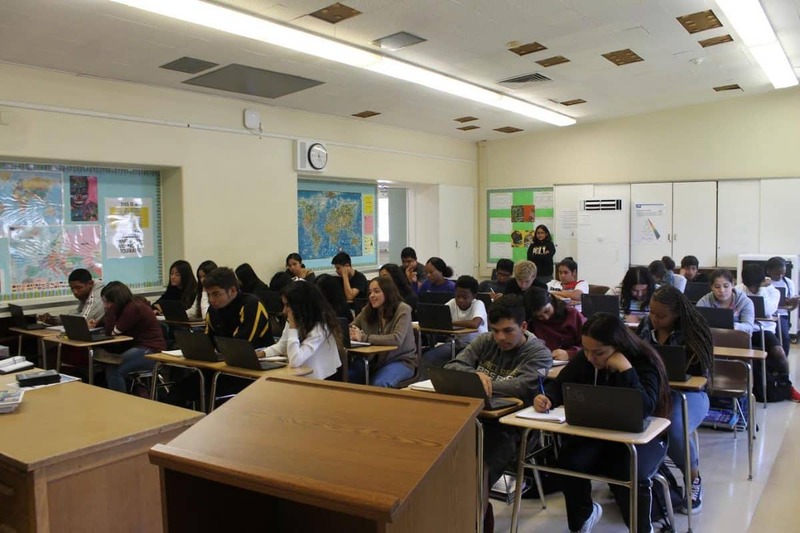 Long Beach Poly High School students in class. Photo by Jeremiah Jones. This story is part of a collaboration between the Long Beach Post and VoiceWaves, a Long Beach youth-led journalism and media-training project. The youth, ages 16-24, are learning to report, write, and create digital journalism content. Read more at VoiceWaves.org.